This morning, ascend into the lunar landscape of the old copper mining centre of Queenstown and discover its history. View ‘The Wall in the Wilderness’, an artwork in progress with 100 hand carved Huon pine panels depicting the history of Tasmanian life. Travel to Lake St Clair, Australia’s deepest natural freshwater lake and admire the stunning wilderness scenery. 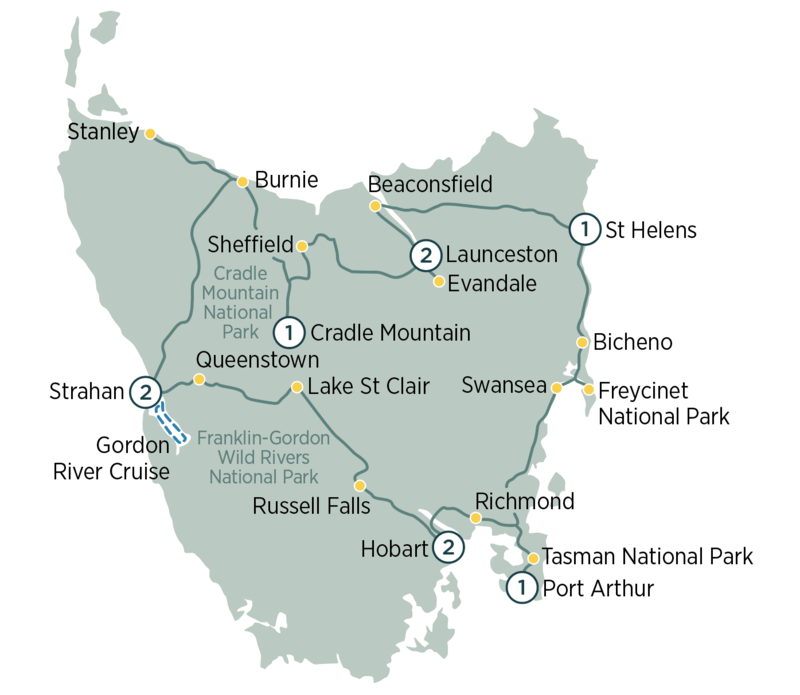 Continue on to Mt Field National Park, one of Tasmania’s oldest and most popular National Parks and explore this area as you take a short stroll through lush rainforest to stunning Russell Falls. This evening, enjoy your farewell dinner.